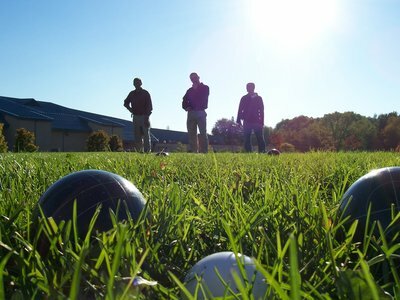 Bocce/Bocci, the italian word for “bowl,” is a game that has become a increasingly popular thing to do on Long Island. Derived from Ancient Rome, this sport is played on soil or asphalt with Bocce balls that are either made of metal or plastic. There are two teams of one, two, three, or four. The jack, a smaller ball, is thrown by a random team to start the game. The side that threw the jack gets to bowl first. One point is earn for each of the balls that is closer to the jack than the closest ball of the other team. Games can vary in length and can play up to 7 or 13 points. Players can throw the ball to not only get closer to the jack, but to either hit balls away from the jack or hit the jack away from the other team's balls. There are many locations on Long Island where you can play. Please plan before you travel and call up the locations with any questions. and think it should be added to this list, let us know! Email us and someone from our team will get back to you ASAP!